It's been a long standing policy on N2DS2W not to compare bands to other bands. So we're not exactly fans of the "if you like this (more famous band) you'll like (this less famous band)" game.To us, it borders on insulting ("Congratulations on being unoriginal!"). And does anyone really want to just listen to bands that all sound like each other? But (you knew that was coming, right? ), sometimes it's really hard NOT to make comparisons. And sometimes bands channel an influence so well it transcends the derivative and the tribute and rightly earns their own identity. 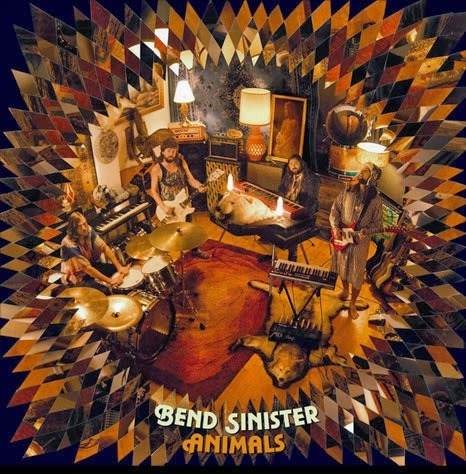 So yes, when you listen to Vancouver's alt rock/pop chameleons Bend Sinister, you'll hear Supertramp. You'll hear Queen. And on their second full-length album Animals, you'll hear some pretty scorching Motown soul and even a hint of gospel. You'll also hear Dan Moxon's powerhouse vocals and keyboard backed by Joseph Blood on lead guitar, Matt Rhodes on bass and Jason Dana keeping time on the drums. Listen: "I Got Love," from Animals.